A decorated vocalist, prolific songwriter, and innovative bandleader, Claire Lynch can now add ‘diplomat’ to her list of accomplishments. North by South, her newest album, opens a window into America’s northern neighbor that will widen your eyes if all you know aboot Canada is maple syrup and using ‘eh?’ as punctuation. The record pays homage to Lynch’s favorite Canadian songwriters, interpreting tracks from greats above the Great Lakes like Gordon Lightfoot and Ron Sexsmith. Backed by compatriot heavyweights Bela Fleck, Jerry Douglas, Stuart Duncan, David Grier, and produced by Compass co-founder Alison Brown, Lynch renders the songs into bluegrass and new acoustic styles, producing an elegant blend of foreign and domestic artistry. Lynch’s Canadian leanings all started with a fan email suggesting places for her to play in Toronto. When she emailed back, it sparked a long correspondence about Canada’s culture, history, and diverse art scene. She eventually did score a gig in Toronto, but what’s better, she fell in love with her pen pal and went on to marry him in 2014. North by South is the product of a love for Canada now a centerpiece of Lynch’s life. Dolly Parton praises Lynch’s voice as “One of the sweetest, purest and best lead voices in the music business today.” A crystal so exquisite takes time to grow, but the acclaimed singer has long shone the glint of distinction. Leading the Front Porch String Band in the 70’s, Lynch established herself as a premier interpreter of bluegrass music when women were rare even as participants in the genre, nevermind as leaders. 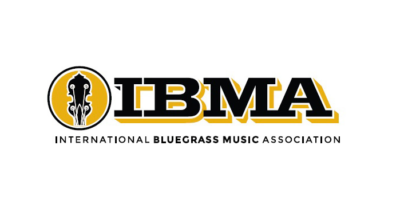 On through the new millennium, the influential band met wide acclaim, receiving two GRAMMY nominations and earning Lynch the 1997 Female Vocalist of the Year award from the International Bluegrass Music Association (IBMA) – the first of 3 times she would receive this distinction. Lynch’s tenure in the band also helped launch her career as both a songwriter and session vocalist. 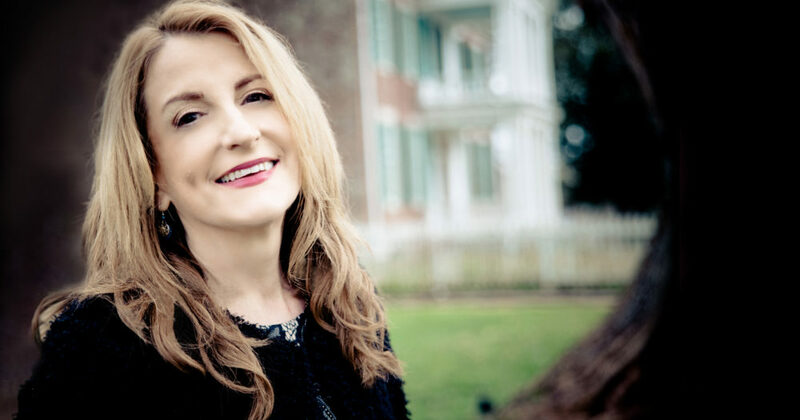 She has penned tunes for household names like Patty Loveless, The Seldom Scene, Cherryholmes, Kathy Mattea, and Stephanie Davis. A list of stars counting Emmylou Harris, Linda Ronstadt, and Pam Tillis has also sought Lynch’s elegant harmonies in the studio. In 2012, The United States Artists Fellowship honored Lynch with a $50,000 grant given to 50 artists selected from a pool of 300 nominated by peers and field experts. The grant recognizes artists from areas diverse as architecture, dance, and mural painting, demonstrating Lynch’s ability to represent her craft outside the halls of bluegrass orthodoxy. 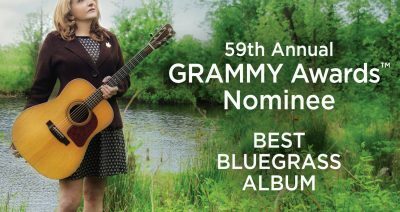 She embodies the genre-transcendent power that can plead the case for bluegrass as cultural treasure to a public wider than the music’s usual discipleship. 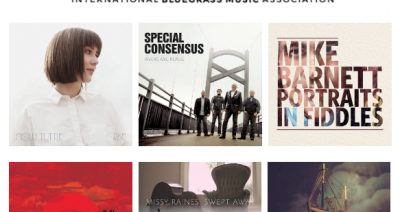 The title track from Dear Sister, Lynch’s prior release on Compass Records, earned the IBMA’s Song Of The Year award. The track imagines a haunting letter written by a man to his sister before a battle in the Civil War. It’s this capacity for transportation across time and place that makes North by South such a natural sequel. For example, on her rendition of J.P. Corimer’s ‘Molly May,’ Lynch conjures the reminiscence of a haggard old sailor, whose sorrow we feel as presently as if ships still had wooden hulls. Her version of Ron Sexsmith’s ‘Cold Hearted Wind’ expresses the twin strains of hope and melancholy comprising the record’s DNA. Singing: “Cold hearted wind is blowin in the face of love, but I’ll take you to a place I know, where the cold hearted wind don’t blow” Lynch recognizes the many disappointments that can obstruct happiness, but finds the hope to persevere through the power of love. The upbeat ‘Kingdom Come,’ written by Old Man Luedecke, articulates a spirit of transience, of belonging both everywhere and nowhere. The track also bristles with instrument talent – Bela Fleck’s banjo, David Grier’s guitar – reminding us how well Lynch’s voice can unite a driving bluegrass sound. ‘Milo,’ Lynch’s self-penned contribution to the track list, offers a glimpse into the romance that inspired her interest in Canada. While light hearted and even humorous, the number still manages to reflect on the differences encountered in relationships that reach across cultural boundaries. The tune combines a ‘behind the scenes’ look into the album’s inspiration with a musicality far beyond the biographical. Gordon Lightfoot’s ‘It’s Worth Believing’ might mark the record’s emotional high-water point. Reimagining the tune as a duet featuring the vocals of Lynch’s bandmate Bryan McDowell, the track portrays the uncertain nature of love, how we often have to believe not because we know, but because in some deep sense, we feel it’s worth it. The number becomes all the more powerful a love song because it works simultaneously as a statement of faith. Whether it’s the moon, the stars, the tide, or the tears, Lynch’s angelic tone brings the song’s imagery into eloquent bloom. So much of the power in Lynch’s record stems from its ability harmonize opposites. The album finds a consummate artist giving song to love and loss, fact and fable, belonging and dislocation – and of course north and south – with a voice that could lay down the lion with the lamb. North By South celebrates life as both broken and whole, a mystery often beyond reason, but never beyond rhyme.